On September 26, 2018, the biggest social networking site Facebook.com went down in many parts of the world including UAE. The users showed their outrage on the internet by various means including tweeting on the micro-blogging platform, Twitter. 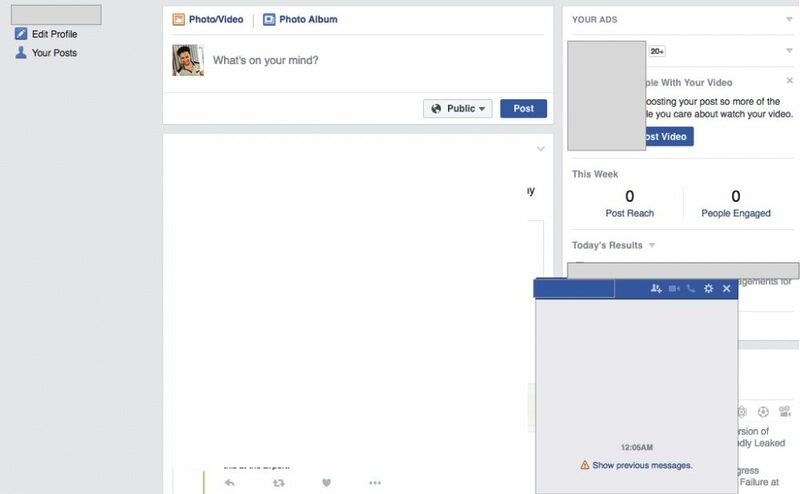 On Wednesday, the users weren’t able to post or share stories on their FB pages. While many of the users reported that they weren’t able to access Facebook altogether. According to a report by downdetector.com, Facebook users witnessed problems while accessing the site starting from 3 pm UAE time. The users took the screenshot of the webpage showing issue and posted them on Twitter. In many of the cases, the site wasn’t loading at all. According to one user, the outage mostly affected Europe, parts of Pakistan, and UAE users. Facebook is reported down today at 7:57 IST. The details are not clarified as it was unexpected shutdown. People accessing the website suddenly lost every type of access. Along with the official website’s mobile version which can be read as ‘m.facebook.com’ the desktop version was also down. It appears that something has affected the backup servers too. Messenger has been shifted to a new domain – messenger.com but that site also observed down by many users around the world. People claimed that the phone calls during the downtime got disconnected for a while. Update: The shutdown didn’t last long and resolved within 2 minutes of initial reporting. Some sources claimed on social networking sites that it was a small bug which was immediately treated by rapid action team. Update: Bug still exists on the messaging part, however timeline has been started loading for many people around the world, the main issue appears to be with the ‘Messages’ only. Like comment and emotions features are working fine after 2 mins of downtime, however various important features like Pages, Groups and Messages are still inaccessible. Update: Its solved now after 13 minutes of complete restriction to important features of facebook. Without the messages feature, many lives could hung up in the vein. Next article‘Percy Jackson 3’ Release Rumors: Will It Be Still a Film Sequel or TV Series?